It can be such an exciting thing when art and science collide as they do in this fascinating exhibition at the medical school at Johns Hopkins University. 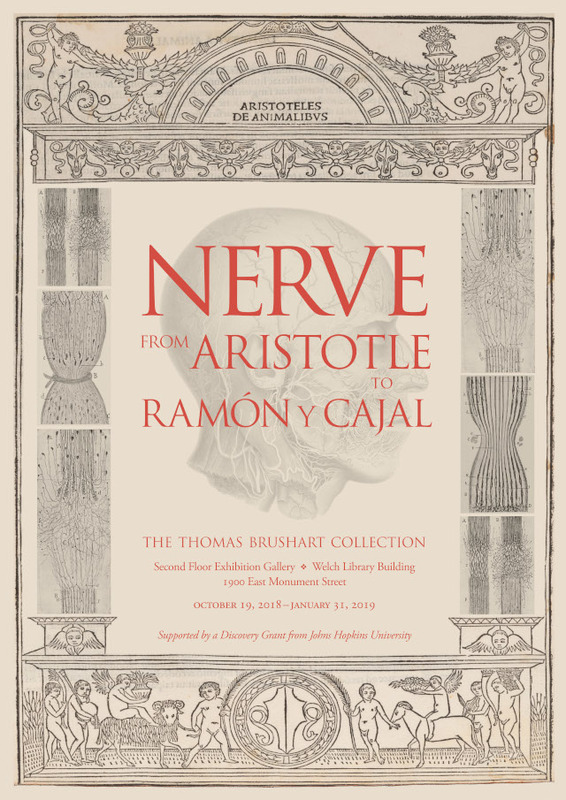 Dr. Thomas Brushart, an orthopaedic hand surgeon, has for years collected rare books about the history of nerve science, from rare Renaissance-era printings of the classics to more modern editions with intriguing inscriptions and histories of ownership. Beautifully designed by Lisa Pupa (with exhibition texts edited and proofread by me), this exhibition is on view at the university’s William H. Welch Medical Library through January 31, 2019.